ARJUN REDDY HERO'S NEXT FILM IS OFFICIALLY ANNOUNCED! 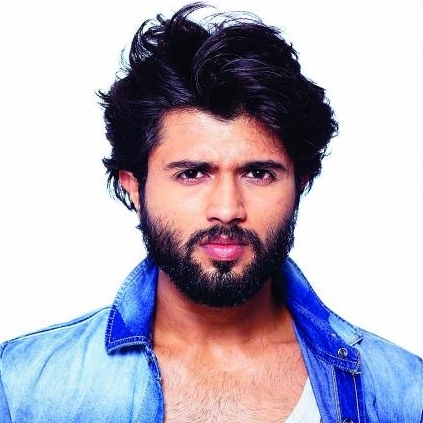 After the raging success of Arjun Reddy, all cinema fans from Tollywood and also a good number of followers from Kollywood have been waiting to know what Vijay Devarakonda is doing next! Here comes the official announcement. After directing Ravi Teja in two films, Anjaneyalu and Sarocharu and Allu Sirish in Srirastu Subhamastu, director Parasuram are now all geared up and ready to direct his next with the trending star. After getting known for her performance in the Kannada superhit, Kirik Party, Rashmika Mandanna will be starring alongside Vijay in this film which is to be produced Allu Aravind & Bunny Vas. Rashmika took to her Twitter page to share her excitement on signing the project as she tweeted, "Yaaay..! !😁thankyou @Ga2Pictures for letting me be a part of you.. @ParasuramPetla and @DVijaySai can't wait to start off..😁thankyou!" and "Happy to sign the film with @DVijaySai in Parasu Ram garu direction in Geethaarts. Thanks 2 producers Allu Aravind garu & Bunny Vas garu.."
The film is said to go on floors very soon and after Arjun Reddy's success, a lot is expected of this film! Pelli Choopulu fame Vijay Deverakonda's recently released film, Arjun Reddy, is being widely praised by critics and the film has also clicked well among the youngsters. Samantha, who has seen the film, took to Twitter to congratulate the team of Arjun Reddy. She tweeted, "#ArjunReddy is the most original film I have watched in a long time . The golden days of TFI are upon us . Team #ArjunReddy OUTSTANDING!!" People looking for online information on Arjun Reddy, Vijay Deverakonda will find this news story useful.